This site was never intended as an offshore radio site. We really started off as a historical site dedicated to the Irish pirates and documenting historical data in the form of old logs and personal recollections. But such is the volume of offshore material that we have in the archives, the pages are growing and growing. There are many unique audio recordings available via the dx archive as well. So now we are an offshore nostalgia site as well!! A map from Radio News, a German publication. 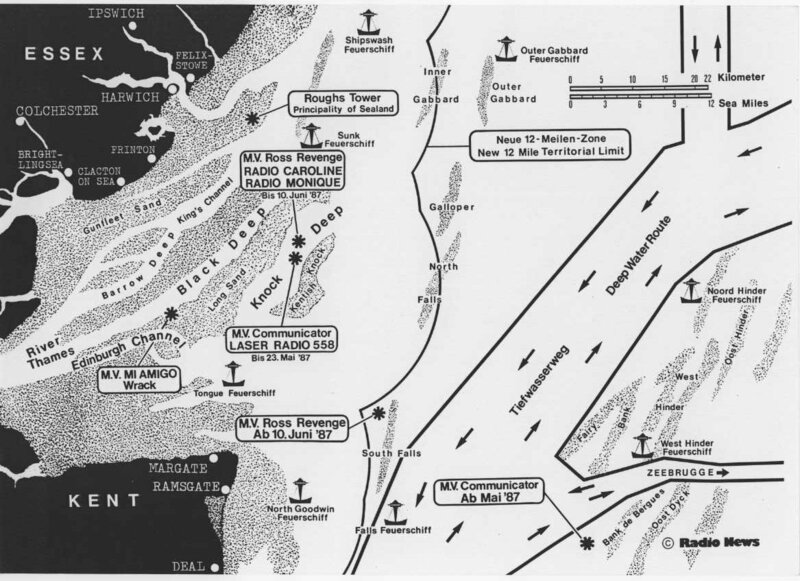 See where the Ross Revenge was anquored, where the Mi Amigo sank, etc. 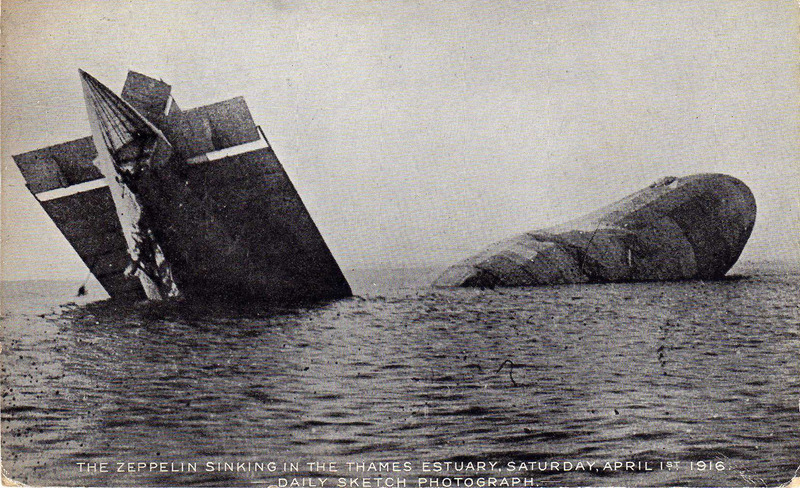 A wreck of another kind, which landed in the Knock Deep on 1st April 1916, after being damaged by ground fire after an attack on London.The Zeppelin is listed as an L15 on one page on the web, L14 on another, and something else on yet another. This was said to be the first Zeppelin shot down during WW1. Harp Beat award. (95k file) This plaque is on the lifeboat building at Walton on the Naze. In the 60s, Bush had a couple of radios with the Caroline name on the dial. Don Allen Memorial. A tribute to the man well known across Europe for his Country and western Jamboree on Radio Northsea in the 70s, Caroline North in the 60s, as well as his work on radio in Ireland. Tony Allan Tribute. Some memories of a legend in broadcasting history.